I dropped my watch and now it doesn't run. When a watch is dropped, a sudden impact may cause an axle of one or more wheels to break. Most commonly the balance staff, the axle of the wheel that makes the tick-tock noise, breaks. The balance staff will need to be replaced in conjunction with a complete maintenance. This is a typical occurrence with an automatic watch and may be an indicator of a few problems. An automatic, or self-winding, watch requires a certain amount of physical activity of the wearer to wind fully. If the wearer is not sufficiently active, the watch does not build up enough power to run. In rare cases, it could be that the mainspring has become worn, which sometimes happens after a few years. This is corrected by replacing the mainspring and conducting a complete maintenance. My watch was running fine for many years, and now it is running slow and stopping. A watch is a finely tuned mini-machine. Similar to an automobile's engine, lubricants must be replaced periodically, usually every 3-5 years, to maintain optimum performance. A complete maintenance should correct this. This could be for a few reasons. Over time, the internal lubricants in a watch movement may migrate to the hairspring and cause it to stick. It could also be from dropping the watch, in which case the hairspring is out of adjustment. Lastly, the watch may also have been exposed to a magnetic field and become magnetized. Automatic watches must be wound to start the watch running, either by manually winding at the crown or by wearing the watch for a sufficient amount of time to wind the mainspring. When worn regularly, most automatic watches should function normally and continue to run for approximately 36 hours after being removed from the wrist. If the watch is fully wound and still runs slow, this is an indicator that it is due for maintenance. Most manufacturers of automatic watches recommend movement service approximately every 4 to 5 years, depending on the degree of wear/usage. This happens in true manual-wind watches and indicates that the mainspring has broken. Automatics have a clutch so you can feel when the watch is fully wound. The mainspring must be replaced along with a complete maintenance. The crystal on my watch keeps fogging up and I can't see the dial. The internal gaskets, which make a watch water resistant, may require replacement or the watch may have been exposed to moisture while the crown was not properly closed. The crown, crystal and back gasket should be replaced in conjunction with a complete maintenance. The watch should be serviced as soon as possible, or other internal components might get damaged. It is important for wearers of water resistant timepieces to be aware that water resistance is not a permanent feature and requires regular periodic service to be maintained. The hands are 12 hours out of alignment. Reset the watch manually by advancing the time by 12 hours. The chronograph second hand does not set back to "0." This may be corrected by a simple manual re-setting of the chronograph hands. Over time, mechanical chronographs will require adjustment. When chronograph hands do not reset to zero, or 12 o'clock, it typically means the watch is due for its regular period maintenance. What do I do if my watch has stopped running? The first step is to see if the battery needs to be replaced. Most watch batteries are designed to last about 2 years. However, some quartz watches are designed to have extended battery life, which can last up to 3 or more years. (Most of these watches do not have second hands). 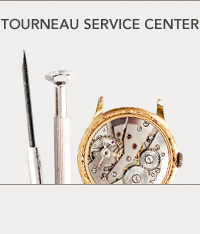 A watch service technician will check the battery and the condition of the contacts. The second hand ticks back and forth in one spot and the watch does not run. This may indicate the watch is functioning electronically, but the mechanical portion is not due to a problem with the internal gearing. Quartz watches have insufficient power to push through obstructions like mainspring-wound watches. In this case, the watch movement most likely needs to be serviced. Although there are numerous conditions that cause this malfunction, it is usually corrected by complete maintenance. My watch runs fine when I don't wear it, but it stops when I put it on. This is somewhat of a common problem and could be because the electronic circuitry has a defect. One of the factors causing this to happen can be explained using the principles of basic physics. Expansion occurs when there is an increase in temperature. In this case, the electronic circuit may have a bad contact or defect within. When the watch is off the wrist at room temperature, all of the contact points and circuits function properly. However, when the watch is worn, body temperature causes a slight expansion and the circuit connection to break. This results in the watch no longer functioning. The circuit will need to be replaced in conjunction with a routine maintenance. My watch always stops at midnight. The watch is most likely stopping due to a problem with the calendar trip mechanism. You should bring it in for service. The second hand skips several seconds at a time. This is a battery end-of-life indicator (EOL). Watches with this feature have electronic circuits that detect when the battery voltage is getting low. Their circuitry makes the second hand move forward erratically to alert the wearer that it is time to replace the battery. Installing a new battery should restore the second hand to advance normally. I use my chronograph often and the battery life doesn’t last more than a year. Using the chronograph function often or leaving it running constantly will considerably shorten battery life. It is important to understand that more battery power will be required to enable all of the numerous functions, more so than for basic timekeeping. It is not advisable to run the chronograph/stopwatch function continuously. In fact, some electronic chronograph/stopwatch functions will stop running automatically if left running for extended periods of time. To conserve battery power, it is best to stop the chronograph function when the timing feature is not being used. I've had the watch for a year. Should I replace the battery just to be safe? With many of today's quartz watches having an end-of-life (EOL) feature, it is not advisable to replace the battery until it is absolutely necessary. Opening the case presents the possibility of compromising the factory seals, resulting in the need to perform water-resistant maintenance before it is required. This depends on the age of the watch and the type/ number of functions (i.e., stopwatch chronograph applications, alarms, second hand, etc.). A battery should last for at least 1 year in analog watches and digital styles. The alarm worked fine until the battery was changed. Several factors can cause this problem. The most common explanation is that the alarm contact spring is not in the correct position. The watch may need to be sent to the service center. Other possible causes may be the case back was installed incorrectly or there is a problem with the alarm contact plate. The watch will usually need to be sent for service. The display on my digital watch has turned black and the numbers can no longer be seen. This usually happens when a digital watch has received a severe shock or has been dropped. The digital display, a very thin sandwich of glass filled with a conductive fluid, has become either contaminated or cracked causing air to leak and damage the conductive fluid. This can be a very expensive repair and, depending on the value of the watch, replacing it may be the most economical alternative. Higher-end digital watches must be sent to the manufacturer's service center. The digits in my digital display do not show complete numbers or letters. The contacts connecting the digital display with the circuitry of the watch have been damaged by a shock, or the contact points are corroded. This prevents the section(s) not displayed from receiving necessary voltage to ignite the display segment. 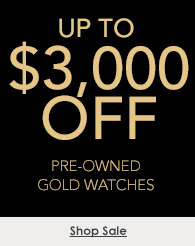 In less expensive digital watches, the repair can cost as much as a replacement watch. If the customer wants the watch repaired, it will need to be sent to the manufacturer's service center. Higher-end digital watches can be repaired at a reasonable cost compared to buying a new watch, but they must also be sent to the manufacturer's service center. The hands work but the digital display doesn't, or vice versa. Analog/digital combination watches are really two watches built together. It is possible that one will malfunction leaving one part working. Watches with a digital feature must be repaired by the manufacturer's service center. The push buttons don't push in or will not return after being pushed in. Push buttons have a stem attached to their underside that moves in and out of a tube located inside of the watch when depressed. Inside the watch, a tiny spring pushes the stem back out when the button is released. Over time, dirt or corrosion can accumulate inside the tube resulting in the spring being unable to restore the button back to its original position. The spring will most likely need to be replaced in conjunction with a complete maintenance.